Read the full article on the Here. James Jordon is President/Owner of Jordon Construction Company. He has over fifteen years of experience in the construction industry while currently managing a certified, minority-owned business specializing in commercial construction that entails private, public and government projects. 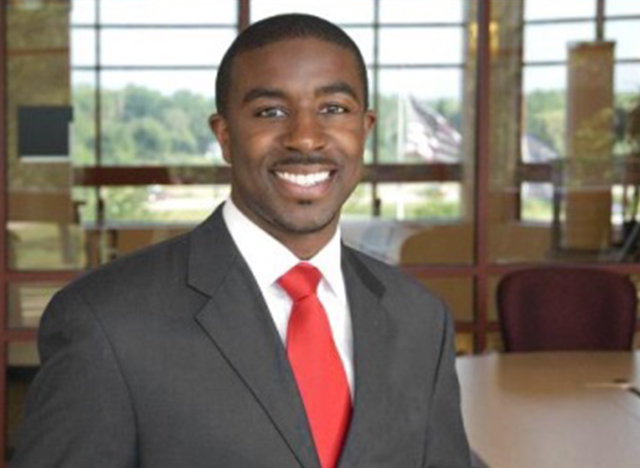 Since arriving in Greenville, his ambition and drive to succeed in the industry are contagious – having been named “Top 40 Under 40” in 2014 by The Black Pages, Talented Tenth Top 10 Professionals in 2014, and most recently receiving the Greenville Chamber of Commerce Minority Business of the Year in 2014, and featured in the Upstate Business Journal for his outstanding entrepreneurship and diligence in business. Entrepreneurial in spirit, Jordon is a charismatic leader who understands the heartbeat of business, the importance of developing working partnerships with clients like the Greenville Housing Authority and Greenville County Schools, but also giving back to his industry by facilitating educational workshops, promoting diversity in business, and sponsoring entrepreneurial initiatives for youth through The Jordon Foundation. James Jordon is no doubt propelling Jordon Construction Company towards regional and national expansion. He is educated in Leadership Development from Marquette University, Milwaukee, WI, with an Associate in Arts, Business Marketing from Waukesha County Technical College in Wisconsin. Enjoyed meeting your team at the SAME Small Business Conference. Please contact me if I can help your company enter the DOD market.